Who Pays for the Virtual Care Team Model? Rod Baird highlights the sections of the 2015 Draft Medicare Physicians Fee Schedule that should have the greatest concern for the PA/LTC community. While the thrust of the rules are directed at Physicians and other licensed professionals, the rules affect the entirety of the healthcare system. This blog post is written specifically for the PA/LTC Physician/Extenders in the audience, but it covers information critical to any organization that relies on the viability of those providers. A few days before Independence Day, 2014, CMS invited the provider community to join it in the current version of participatory democracy; commenting on the 2015 Draft Medicare Physicians Fee Schedule. Since then, I’ve read and re-read the proposal and began to distribute analyses to colleagues and clients for their use. Today’s blog highlights the sections of the rule that should have the greatest concern for the PA/LTC community. While the thrust of the rules are directed at Physicians and other licensed professionals, the rules affect the entirety of the healthcare system. Regardless of your role, if you rely on Physicians/Extenders as a member of your clinical team, you should make comments. Public comments are as close to a ‘vote’ as you get in the regulatory scheme. ISSUE 1: Value Based Purchasing (VBP)– The draft rules double down on VBP. For CY 2015 (affecting CY 2017 payments), we move from ±2.0% payment adjustment to a ± 4.0% adjustment range. This affects all medical groups (or organizations) with 10+ providers working under the same TIN. Based on the 2012 experience of 4 large PA/LTC medical groups that we analyzed (and anecdotal reports from other very large LTC groups), our Costs will always fall in the “high cost’ category. An earlier blog post explored this data in greater depth. It is impossible to avoid this classification under the current model if you treat a significant number of Part A patients – 100% have an Acute Care Episode followed by a SNF stay. Our costs are compared to a benchmark of Ambulatory Practices where many patients are not hospitalized or sent to PA/LTC care. CMS ignored comments many of us (and AMDA) filed with the 2014 draft rules that highlighted this injustice. Fighting this should be the #1 priority for the PA/LTC medical community! (a.) 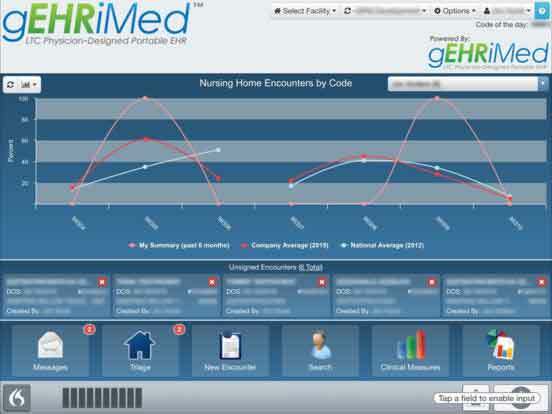 A Possible Solution Using CMS Modeling: The only semi-impartial way to construct a cost measure that is fair to facility-based providers (hospitalist and PA/LTC physicians) is to calculate the cost per patient based on the Place of Service that is associated with the majority of ‘attributable encounters’. This is a concept we and AMDA staff presented to CMS previously…..apparently with little benefit. (b.) The Dimensions of the Problem: For CY 2014, there was no penalty (only upward adjustments) for groups of 10 or more. Only groups of 100+ could suffer a downward adjustment. In CY 2015, all groups of 10 or more are subject to the full range of payment adjustment. (i.) This will make 2017 the first year many PA/LTC groups actually feel the pain – those that don’t participate successfully in PQRS will face a <6%> payment adjustment (regardless of possible EHR Meaningful Use hardship exemptions). (ii.) For CY 2015, the payment adjustment will expand to Nurse Practitioners and Physician Assistants, further impacting the overall reimbursement for many groups. (iii.) The VBP payment adjustment scheme is a ‘gladiator’ program. That means the entire program is revenue neutral to CMS (i.e. it is funded by participants). Every group of 10 or more is required to volunteer (hooray, providers get to play the role of one of the Tributes in the Hunger Games!). For every $1 in ‘incentive payments’ made to some Provider Group, that $1 came from another Group. – Most PA/LTC medical groups will suffer at least the <2%> adjustment as ‘high cost’. Those dollars will go to other medical groups. – According to AMDA’s comments on the 2013 Draft Plan, a majority of PA/LTC providers did not participate in PQRS because of the complexity. This means those groups will suffer the <2%> PQRS penalty, and if they are 10+ in size, the <2%> VBP Quality Penalty as well. – The total penalty from the combined effects of these elements is a <6%> adjustment to 2017 reimbursement. (iv.) RECOMMENDATION: All Medical Groups need to become much more Machiavellian in their approach to ‘Quality Measures’. There are a number of excellent academic studies and opinion papers on the ineffectiveness of the current Quality Measurement Strategy – here is a link to one that is written for popular reading in the NYT Upshot column last week. My group has reported PQRS for the past 5 years. After working the bugs out of the system, we’ve demonstrated ‘above average performance’, but only because we picked measures on which we would score and report ‘high performance’. Now we are in a gladiator competition where there are only two outcomes – win or lose. Anyone who doesn’t try to win is likely to be a victim. This is a stupid way to promote ‘quality’, but CMS staff are simply treating us the way Congress treats them. ISSUE 2: Quality Reporting & Patient Surveys: There are broader policy issues afoot in the proposal. If you read through the existing rules, all groups of 100 or more Providers MUST elect a GPRO (group practice reporting ‘option’) that includes using a CAHPS for PQRS survey tool. For 2015, use of this tool is ‘optional’ for groups smaller than 100. I can envision a year from now it being mandated for all groups of 10 or more. The tool is designed for community dwelling patients to rate their Ambulatory PCP service. The questions have no validity to PA/LTC medical groups. How could our patients/families answer most of them? There is a CAHPS Nursing Home survey, but it has only two questions about Physician services, neither of which contain any ‘scoreable’ answers. Again, I am gravely concerned that PA/LTC medical groups are being compared to Ambulatory practices and scored on a metric that is impossible to appear as a ‘high quality’ provider. – RECOMMENDATION: Comments should emphasize the mismatch between the CAPHS questionnaire and the relation of PA/LTC Medical Groups to the patient population under their care. ISSUE 3: PQRS: In CY 2014, there was a lower performance threshold for avoiding the <2%> negative payment adjustment than to achieve the small +0.5% incentive payment. Avoiding the adjustment only required satisfactory reporting for 3 PQRS measures. In CY 2015 the requirement is to submit at least 9 PQRS measures to avoid the <2%> penalty. There is no mention of the 3 measure option; there is no incentive left. The selection of measures is more complex placing a further burden on Providers who aren’t using a carefully designed EHR and built-in PA/LTC specific Quality Measures. (a.) CMS is pursuing this and other quality programs with no demonstrable evidence that any of these schemes actually result in a benefit to patients. In the absence of evidence of benefit, the only logical strategy is one that avoids being the victim. (b.) RECOMMENDATION: Commenters should advocate for the continuation of the 3 PQRS reporting option until there is greater than 50% successful participation among the Provider Community. Increasing the difficulty of successful reporting does not improve compliance. Groups (with 10+ providers in 2015) that fail to report PQRS also fail at VBP – guaranteeing a <6%> downward payment adjustment in 2017. (c.) CMS continues to revise/add/delete PQRS measures without advanced access to the complete definitions of the new measures (definitions of denominator and numerator qualifications – e.g. are SNF/NF CPT encounters eligible for the measure?). Changes for 2014 weren’t published until late December, 2013. Almost no EHR vendor, nor most medical groups, that used measures subjected to these last minute ‘revisions’ were able to adjust; that put them behind the 8 ball when trying to document on 50% of eligible patients. – RECOMMENDATION: Commenters should demand that CMS publish the entire PQRS, and eCQM manual for the coming year at least 6 months in advance. ISSUE 4: ACO Quality Measures: The 2015 rules add to the complexity of ACO Quality Measures – including the mandated use of more CAHPS tools. In addition, there are two measures that are quite difficult for PA/LTC physicians to satisfy (and a group’s failure to help the ACO reach a high quality score will be noticed). Other measures are clinically inappropriate for PA/LTC patients, but commenting on them individually is too long winded. RECOMMENDATION – Commenters should reiterate that PA/LTC physicians are classified asOffice PCPs. Out patient population, many being managed for quality-of-life and not quantity-of-life, have goals of care inconsistent with ACO qualityPA/LTC medical groups have a significant population of these beneficiaries – the current program punishes PA/LTC Physicians who demonstrate ‘best practices’ for this group of beneficiaries because those strategies are not consistent with the ACO ‘wellness’ measures. As a class of providers, PA/LTC medical groups are significantly harmed by the 2015 draft Physicians Fee Schedule. Most of that harm is unavoidable in the course of normal clinical/administrative practice in LTC Medicine. We need a good plan and an excellent tactical strategy to gain CMS’s attention or we’ll face significant financial hardship. How can you recruit providers to serve this high cost population when faced with these kinds of systematic penalties? I urge readers to submit comments directly to CMS – here is a link to their web portal. If that link breaks, go to www.regulations.gov and search for Docket ID: CMS-2014-0094.